Bosleys Auctioneers last sale of 2017 took place on the 1st November, the sale containing over 870 lots. The highest price of the day was £14,500 paid for a Military Medal awarded to Trooper Merryweather of the 1st SAS Regiment who dropped on D-Day with the dummy “Rupert” Parachutes and fought for 40 days behind enemy lines, before being wounded and captured. The medal had been acquired by the vendor before the ease of internet research and was unaware of the action that resulted in the award. A WW1 Distinguished Conduct Medal awarded to a Sergeant of the Royal West Kent Regiment brought a smile to the buyer's face as he informed the auctioneer he was to reunite it with the rest of the medal group after many years. 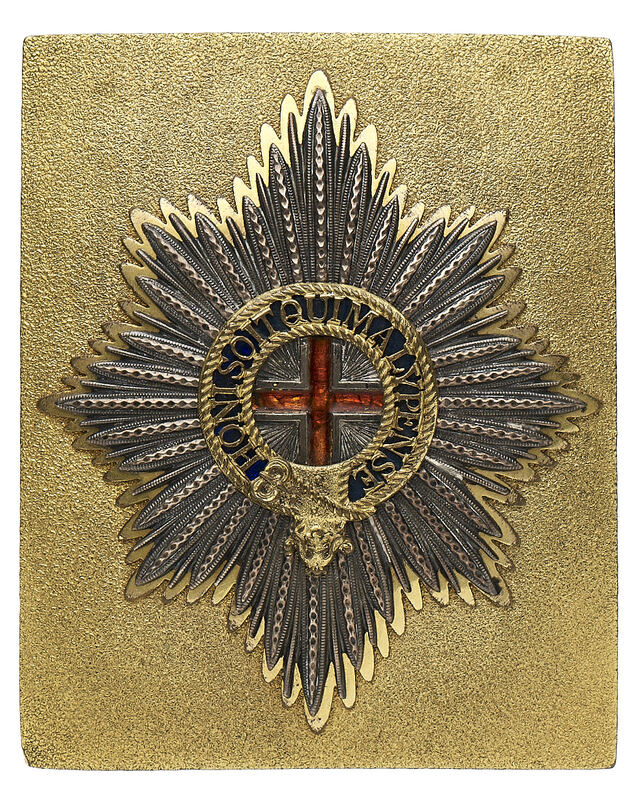 Another reunite story came about when lot 38 a Coldstream Guards Crimean War Officer’s shoulder belt plate worn by Captain James Alfred Caulfield, was purchased by his Great Great Grandson. A 400 lot badge section many rare items including a selection of Royal Marines items with a RMA Victorian Helmet plate selling for £1,100 and Crimean War Officer’s shoulder belt plate at £1,400. A selection of 54 rare Officer’s coatee buttons sold for £2,000. German collectibles remain as popular as ever and although the German section was towards the end of the auction the room filled with eager buyers the highest price in this section was £1,800 paid for a WW1 Imperial German Hessen Infantry Reserve Officer’s Pickelhaube, Model 1897. A rare German. 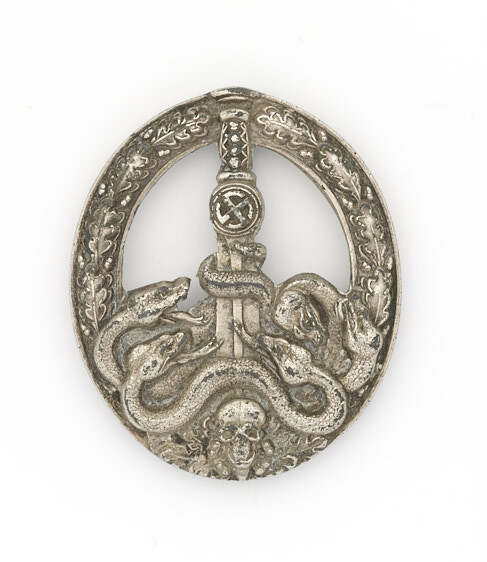 Third Reich Anti partisan Badge in Silver sold for £1,500 and a Government Official’s dagger by Alcoso, Solingen circa 1939-42. for £1,600. Through out 2017 Bosleys sword sections has contained a number of fine 19th Century Officer’s swords and this sale included two small collections one of Napoleonic interest and the other of East India Company Interest. The highest price achieved by a Magnificent Napoleonic period Mameluke hilted Officer’s Sword with with full length damask decoration and clipped pointed blade, contained in a red velvet and gilt mounted scabbard it sold for £5,200. One of the most impressive swords was an British cavalry Officer sword , the blue and gilt decoration applied to a staggering 2 1/2 inch wide fighting blade. This sword selling for £3,200. The headdress section saw a rare original attributed Officers lace cap of the Lanarkshire Yeomanry which sold for £3,400. One of the surprises of the day was a very rare example of a 1842 Albert pattern helmet worn by the 3rd Baron Northwick of the 1st Life Guards. The helmet had been discovered in a cellar wrapped in an old bag. The surprise being, despite being disassembled with one part missing, it was bought by a room bidding for £3,200. Bosleys next public auction will be held on 7th March 2018.